Facials Chelsea: What’s Causing My Acne? Acne is an unfortunately common skin problem that causes a lot of distress to its sufferers, whether they’re a young teen or an older adult. It is characterized by chronic pimples, whiteheads, blackheads, cysts, and nodules. They can appear on the face, neck, shoulders, chest, back, neck, and arms. While acne is not dangerous, it is something that no one wants to deal with. Acne is not only uncomfortable, it’s unsightly, which means that it is an issue that people are eager to address as quickly as possible. In addition, it can leave scars, particularly if you pick at it. Unfortunately, it can be confusing to determine how to treat acne because there are so many potential causes. The skin is made up of pores which are connected to oil glands by follicles. Follicles are small sacs that secrete liquid. The oil glands in the skin produce sebum, an oily liquid. Sebum travels through the follicles to the skin’s surface, bringing with it dead skin cells. When these follicles become blocked, oil begins to build up under the skin. It’s common for skin cells, sebum, and hair to clump together, forming a plug in the follicle. When it is infected with bacteria, it begins to swell, and when the plug begins to break down, a pimple is formed. Of course, this doesn’t explain the real question: why does this happen? 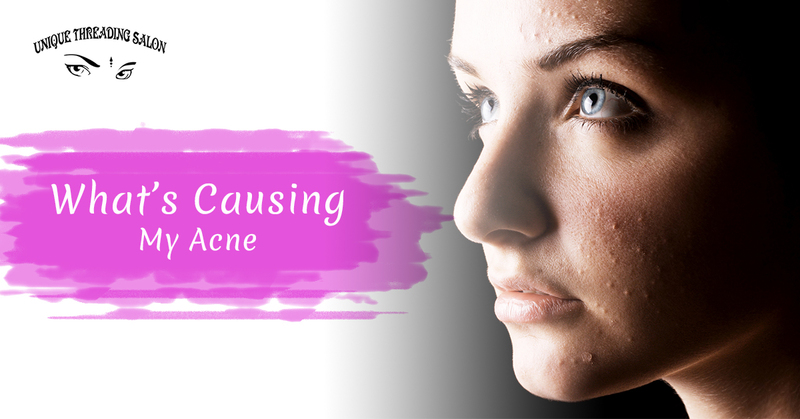 There are several factors that seem to contribute to the formation of acne. Hormones: The main cause of acne is thought to be hormonal. Androgen is a hormone in the body that rises at the beginning of adolescence, which is then converted into estrogen in women. As androgen rises, it causes the oil glands to grow. In turn, these produce more sebum, which can them cause the cellular walls in the pores to break down and become a host for bacteria. Stress: While how stress affects acne is not clear, the link is well-established. The cells that produce sebum do have receptors for stress hormones, so it appears that this may be how to two are correlated. If you have acne, it makes sense why it is a high priority to address it. There are certain steps you can take to potentially lessen its impact on your life. Wash your face one to two times a day (but not more than that). Do not pop your pimples; this spreads bacteria and makes it more likely that you will scar. If you want your acne extracted, see a professional facialist and don’t try to do it yourself. Don’t touch your face with your hands or cell phone. If you are experiencing issues with acne, you may benefit from coming into Unique Threading Salon in Chelsea for a facial. We would love the opportunity to help you combat acne so you can put your best face forward. Contact Unique Threading Salon for facials in Chelsea.